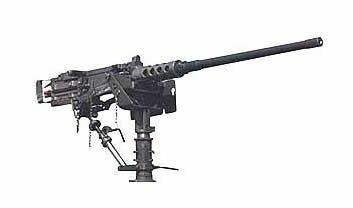 The C6 is a general-purpose machine gun (GPMG) and is issued in substantial numbers to combat arms units. 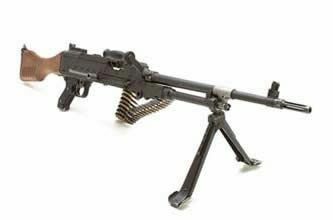 The C6 is a fully automatic, air cooled, belt fed gas operated weapon that can be adjusted to fire between 650 and 1000 rounds per minute. The C7A1 assault rifle is an improved version of the basic C7 combat rifle, incorporating a low-mounted optical sight. 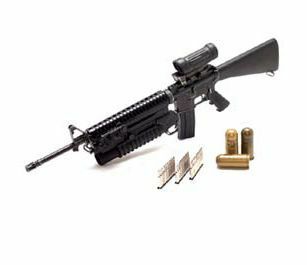 It is a Canadian adaptation of a U.S. firearm known as the M16A1E1. The C7A1 eliminates the carrying handle of the C7 and substitutes an optical sight. The weapon is equipped with a 3.5x optical sight, which is mounted in place of the carrying handle. The C9A1 is a C9 Light machine-gun with an optical sight attached. 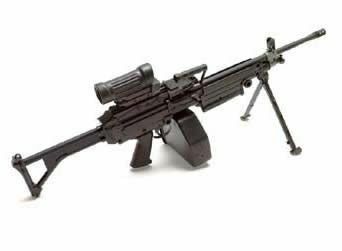 The Minimi (a contraction of Mini-Mitrailleuse, or mini machine-gun) is fully automatic, gas operated and belt or magazine fed. It has an effective range of 600 metres. Within the rifle section, the C9A1 is used to provide covering fire for the manoeuvre of assault troops in the offence and to cover enemy approaches in the defence. The .50 cal heavy machine gun is used primarily by the infantry. It can be employed with a tripod in a dismounted role to provide supporting fire for combat operations. It can also be mounted on vehicles such as the M113A3. 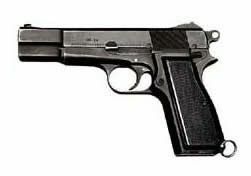 The Browning 9-mm pistol is carried by officers and soldiers who require a sidearm that can be rapidly drawn and fired, even in confined spaces. The pistol consists of a barrel, a slide, a breechblock, a frame, and a 13 round magazine.